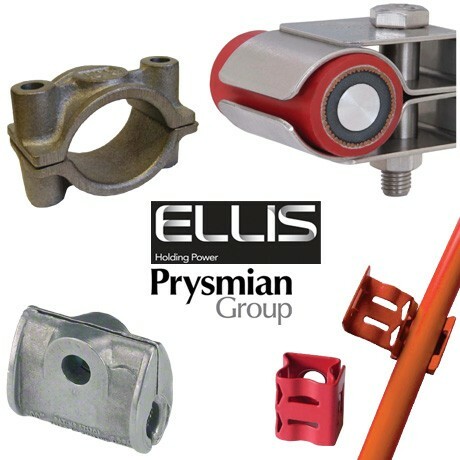 We supply a full range of FP Cable Cleats for Standard and Enhanced Fire Performance Cables from Ellis Patents and the Prysmian Group (Pirelli, Draka, BICC). This includes Fire Resistant Cable Cleats for Prysmian (Pirelli) FP400 and Draka Firetuf Armoured Cables for Fire Cable installations in buildings and industrial areas. FP400 and Firetuf Armoured Cables are used to feed emergency lift systems, heavy duty smoke extraction systems, and other essential 'life' systems such as public address (PA) voice evacuation systems. In addition our FP Cable Cleats range includes FP Cable Fixings for Prysmian (Pirelli) FP200 Gold and Draka Firetuf Cables for Standard and Addressable Fire Alarm Systems and Emergency Lighting Installations. This Cable Cleats range includes the Ellis Patents Phoenix Cable Cleat, Prysmian Bicon Multi Cleats, Cast Iron Cable Cleats, Galvanised Iron Cable Cleats and FP Cable Fixings.